Tour costings are per person and depart from Sydney, Melbourne or Brisbane. Direct and frequent shuttle bus service to Nambu University for guests of Athletes Village only. 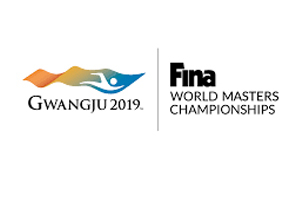 Event Registration - Visit the online registration page www.fina-gwangju2019.com/masters. Registered participants are eligible for free public transport within Gwangju. Yeosu is 4-5 hours by road or train from Seoul and 2-3 hours by road from Gwangju. Flights from Seoul depart from the domestic airport (Gimpo) which is 45-60 minutes by local train from Inchon’s International Airport (where you will arrive). Local buses and trains are also possible however, this may involve several changes and connections which could be challenging for first time travelers and seasoned travelers alike! We therefore suggest a private “door to door” transfer is the most practical method of arriving in Yeosu.